Everyone of us have dreams in our eyes. A lot of people around the globe struggle to be a part of Bollywood and Film Industry. But, dreams are never a far if you have a true passion for your aim. Studio 19Films, a well established company has taken an initiative of providing an integrated platform to the young talent emerging out from various parts of the country. Undoubtly, the country has given birth to great talented youth who are magnificant. The Company was formally launched by Mr. Arbaaz Khan (Actor/Director/Producer),Ms. Amisha Patel (Actor) & Mink Barar. Studio 19 Films aims to promote and showcase Indian models and Fashion in India as a whole. The Company aims to provide a helping hands to the young aspirants Indian models to make their dream come true. 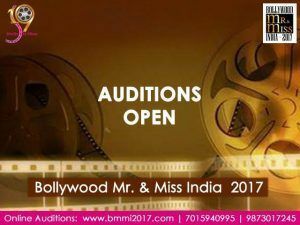 Studio 19 Films has announced its first event , BOLLYWOOD MR AND MISS INDIA 2017 Content is our own country. Get ready to highlight yourself and get a chance to avail your ticket to Bollywood. A pageant with fantastic opportunity for all aspirants to live their dream of winning a title and taking the first step of being recognized as a brand. A pageant conducting auditions all over India in 40-50 major cities with some of the renowned Universities & Colleges. 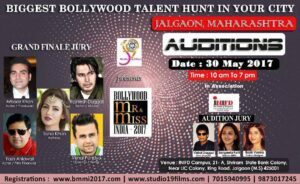 The Auditions will be conducted by Expert panel of choreographers, super models and celebrities. The deserving candidates will be selected and will get a chance to outshine themselves. 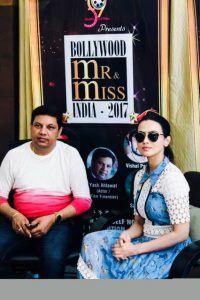 Latest collection of Fashion Designer Ms. Rosy Ahluwalia with 20 top models will be showcase on the ramp followed by a Press Conference where all the major media interacted with all the faces associated with event will take place. Corporate Role Play and what not? The Grand Finale will be held on 24th June at Crowne Plaza, Rohini , New Delhi. MR YASH ALHAWAT is well known Actor, Director and Film Financier in the Film Industry. Also, He is the Owner and Founder of Studio 19 Films. With his roots in Rohtak, Haryana, Yash Alhawat never thought of becoming an actor/producer in life. He belongs to a background where family occupation is considered most important in the family. Yash Ahlawat is an eminent personality, who had envisioned the need to encourage fresh individuals in the ever dynamic field of modelling and acting. A skilled actor and Director himself, Mr. Ahlawat is accredited with many feathers in his cap including financing of a series of flicks. With his maverick business ideas, he diversified an agency for freshers into a reputed Financing House for films. 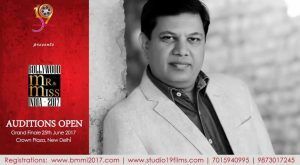 A movie connoisseur, with thorough belief, he is the man behind the formation many success stories. He believes in serving the business house and simultaneously keeping the film lovers and trend followers. Yash Alhawat under the guidance of Vishal Duggal, whom he considers to be his God Father before entering the world of theatre and acting, gave kick to his bollywood journey. He worked as a actor in various films such as Hate Story Series, Creature 3D, 1920, Wajah Tum ho, Shaapit and Lanka among them. He shared his personal experience that you need to have a God Father in the industry to survive the challenges and changing dynamics of the industry.Believes that it is very important to hold experience in the line of producing films.He is looking forward to produce more films under prominent banners. NEXT POST Next post: Okwu launched Omicron smartphone for 10,499 INR.